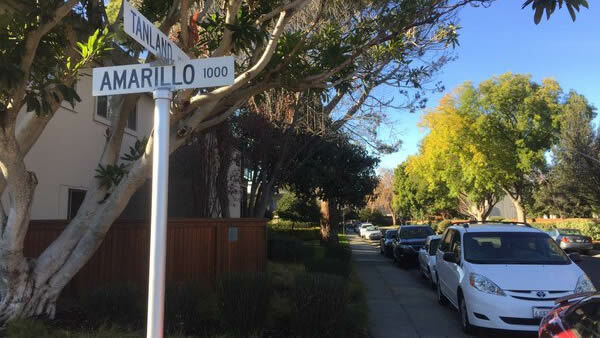 PALO ALTO, Calif. -- Police are searching for a man accused of following a girl to her apartment complex and forcing a kiss on her cheek in Palo Alto on Monday evening. The incident happened around 5 p.m. in the 1000 block of Tanland Drive near Greer Park, where the 12-year-old girl was walking with her bike and talking to a parent on her cellphone, police said. She saw the man jogging on northbound Tanland Drive on the opposite side of the street, according to police. The girl reached her apartment complex, carried her bike upstairs and saw the man down a hallway while she was looking for her house key, police said. The suspect walked past the girl and said, "Excuse me," then repeated the phrase when she opened the door, according to police. As she turned her back to him, the suspect put his hand over her mouth and kissed her cheek in a matter of seconds, police said. She later told police that she was not hurt, but couldn't breathe while the suspect covered her mouth. The girl screamed and the suspect fled out of the complex toward Tanland Drive, according to police. She stayed on the phone during the incident and her parents later called police around 8:30 p.m. to report the crime, police said. The suspect is described as a Hispanic male between 17 and 35 years old who wore a light gray hooded sweatshirt and dark-colored workout pants, according to police. Anyone with information about the case is asked to contact police dispatch by calling (650) 329-2413 or sending an email to paloaltotipnow.org. Tips can be sent by text message or voicemail to (650) 383-8984.